In a recent Choice Literacy Big Fresh newsletter, Jen Schwanke talked about how her reading has cycled depending on where she was in life. When I read that, it was as if she had read my mind. As some of you are aware, I have had some sad and difficult times since just after Thanksgiving. But with getting ready for Christmas, helping organize a funeral for my mom, and having family surrounding us through Dec. 28, I wasn't great, but I was managing. Then, one by one, my family left. My oldest daughter flew back to DC. My youngest daughter headed down to the Sugar Bowl. My dad went back to his house. My husband went back to work. And the grief enveloped me because I was all alone with no buffers. That's when I landed on the word "courage" for my OLW this year; I was going to need courage just to get up some mornings. I needed a plan of escapism to accompany my courage; how could I escape the sadness that threatened to overwhelm at times? That's when I remembered the piece Jen had written. She was right; we need different types of reading depending on life's circumstances. In this phase of my life, I needed books that would allow me to escape. Enter my good friend, Katherine Sokolowski, who had mailed me an ARC of a book by Ally Carter titled All Fall Down. This will be the first in a series titled Embassy Row. It was an easy read and I forgot about being sad for awhile. Just like students, when I find an author I like, I want to know what else they have written. As it turned out, Ally Carter has a series called The Gallagher Girls and another called The Heist series. Both looked intriguing and better yet, almost the entire Gallagher Girls series was available on my public library's Overdrive. I downloaded the series to my Kindle and away I went! For a week, I read for big chunks of the day. The Gallagher Girls is not a tough series. I think middle school girls, and maybe high school girls, might enjoy it. It is about a spy school for girls and speaks to the power of girls and how they can do so many things when they put their minds to it, especially with the support of their friends. The adventures of these girls across 6 books allowed me to escape, and for that I was grateful. This weekend, I have discovered another new author to me, Terri DuLong. She has written many fictional stories about an island in Florida, Cedar Key. Though you don't necessarily need to read them in order, each story has intertwined the characters from all of the stories. I have found my new escape series - plots and characters are predictable, happy endings, not a lot of thinking on my part. In order to have courage this year, I do believe I will have to be kind to myself, and one way I plan to do that is by escaping form time to time with my books and stories and characters. 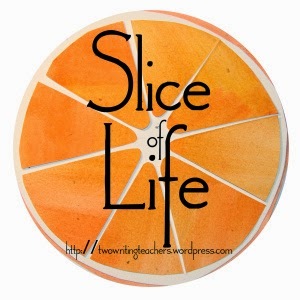 Thanks to the wonderful ladies at Two Writing Teachers for hosting Slice of Life Tuesday. 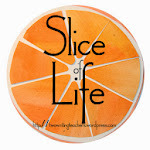 You should head on over to read other slices for this week. Karen, I love how you've chosen to be kind to yourself by escaping into books. When my mom died, I escaped into the kitchen! Have you read Three Times Lucky and the sequel The Ghosts of Tupelo Landing. They are wonderful audio books if that's a format you enjoy. Blessings to you as you move forward, know that some days will better than others, and sometimes the grief is overwhelming (when we least expect it). I wanted to share this courage quote from my bulletin board - "The courage that counts is the courage of the every day. Most of life is putting one foot in front of the other. Big leaps have received too much press." Don't know who said it, it's a tear off calendar page from years ago, but I love it. I found your blog through the reader club. I've always enjoy reading, the reading genre change overtime as I grow up, but there is nothing beat some nice quiet time kicking my feet up on the couch and let the authors bring me to a new world or teach me new things.